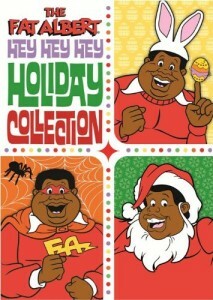 This holiday collection features some of the best of the Fat Albert holiday specials. It includes something for every time of the year, from Easter to Christmas, and is a fantastic item to include in your holiday collections. In Fat Albert’s Easter special, they give old Mudfoot’s home a surprise cleaning, with some interesting side events. In Fat Albert’s Halloween special, the group play too many pranks for the trick or treating season and something goes awry. In Fat Albert’s Christmas special, the gang helps a family in need of somewhere to stay, so the group helps out. 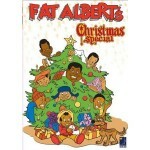 This DVD contains the Fat Albert Christmas Special, as well as a game where you have to figure out which snowman Fat Albert is hiding behind. The episode itself was aired in 1977, but has been reclaimed for future generations to enjoy. It is a heart warming story where Fat Albert and the gang are about to lose their clubhouse when man’s pregnant wife is about to give birth and they have no where else to go. Albert works on the street as a Santa Claus in order to keep the clubhouse intact until the baby is born, and the team works to convince Tyrone to not tear down the clubhouse.